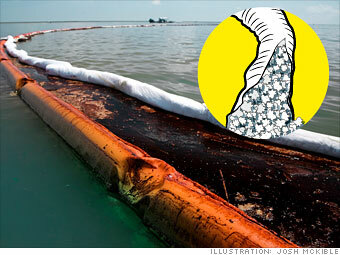 General Motors has taken oil-soaked booms from the BP Gulf spill and reused them in the Chevy volt. Recycling programs overall have netted GM some $2.5 billion in four years. Here’s how it works. On-site in Venice, La. (after completing a pilot program in Mobile), Heritage Environmental removed booms from the water and separated the hard containment booms from the soft, absorbent type. Only the soft ones, which are made from recyclable polypropylene, were used in the Volt. In all, GM processed 120,000 booms-1.2 million feet worth. Why can't U.S. automakers build a good small car?